It's true, you can get pizza almost anywhere. 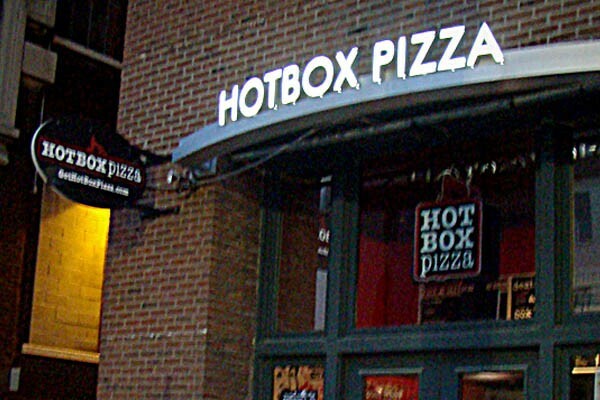 But if you want exceptional pies and sinful breadsticks then Hotbox Pizza is the only choice. They promise you will leave happier than you came, what more could you ask for? Sunday - Tuesday, 10 a.m. - 12 a.m.
Wednesday, 10 a.m. - 1 a.m.
Thursday - Saturday, 10 a.m. - 4 a.m.